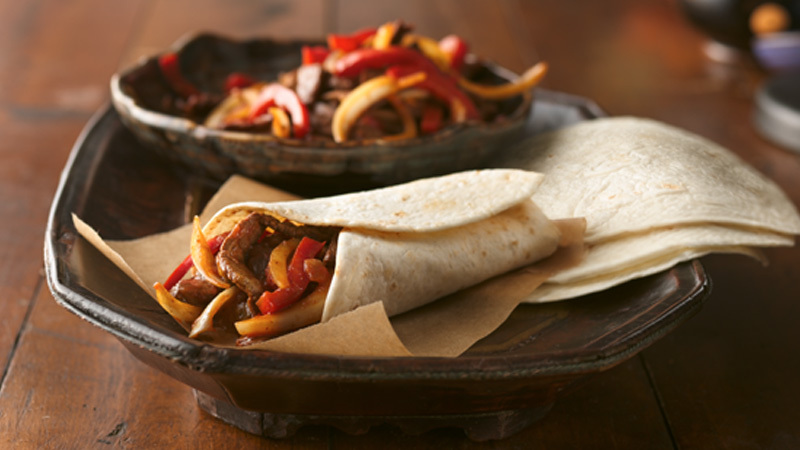 An Old El Paso™ Recipe favourite, these marinated beef fajitas with their citrusy kick will have you wanting more. 1. Stir the marinade ingredients together in a medium bowl. Add beef strips and stir to combine. Cover and chill in the fridge for 30 minutes to marinate. 2. Heat the oil in a large non-stick frying pan over medium-high heat then add the beef and marinade and cook for 2 minutes. Stir in the onion and peppers and continue to cook for 3 to 4 minutes, until the vegetables are just tender. 3. Stir together the cornflour and water in a small bowl, until smooth. Pour into the beef mixture and cook, stirring, for 1to 2 minutes, until thickened. 4. Lay each tortilla onto a plate and divide the guacamole between them. Top each with 1/4 of the beef mixture and the salsa. 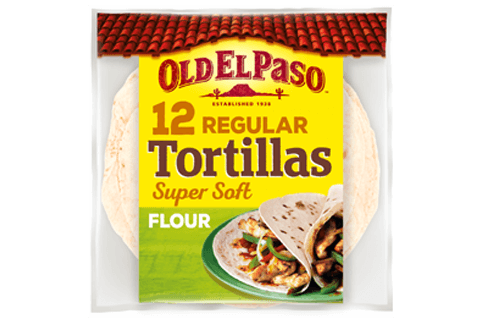 Wrap each tortilla, folding the bottom edge up before rolling and serve. Great served with a pineapple or mango salsa. Roll up together with some lettuce, fresh tomatoes and coriander leaves for a change.